In this article I am going to introduce you to an extremely new and interesting game called Universe Sandbox 2 which is basically an educational game which teaches you about our universe. You can conduct different experiments on the universe and see what effects they might make. So, read on to know more about it. 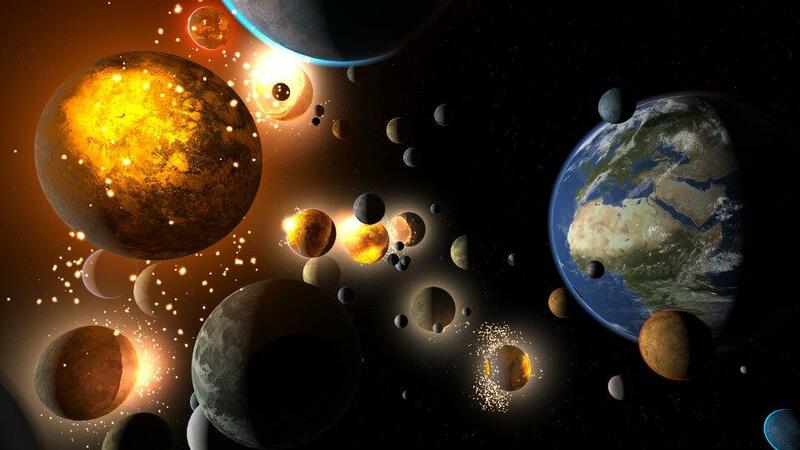 Universe Sandbox2: Many moons colliding with the Earth. Universe Sandbox 2 is basically a physics-based space simulator created by Dan Dixon. You can have endless hours of fun using this amazing piece of software/game. 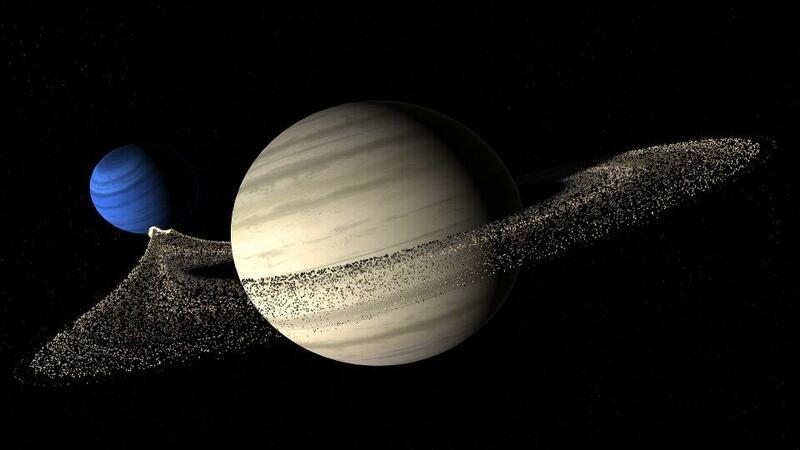 You can fly through the space and explore whatever you like; the stars, Saturn, Jupiter, the sun etc. You can even change the properties of each of these planets and thus change the way it reacts with the other planets. This simulator is basically created to match with what will happen in reality when you make the changes to the properties in the real universe. 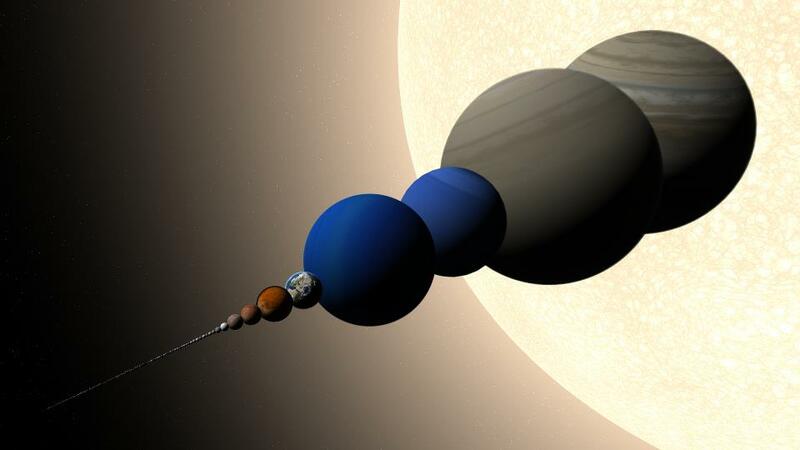 It is completely gravity based and so if you happen to add your own planet to our solar system, it will obstruct the path of the other planets as well because it will pull the other planets to itself. The stunning graphics will make you feel like you are out there in the space. Let's take a specific look at what are the things that you can do with Universe Sandbox 2. You can make the simulation at any speed using Newtonian mechanics. The simulation happens according to real science. If you really were to observe the universe it would be the same. The best thing about this is you don't need to have a supercomputer to make this simulator work. The algorithms in the programming are done is such a way that most processing is done in the least amount of processing memory. 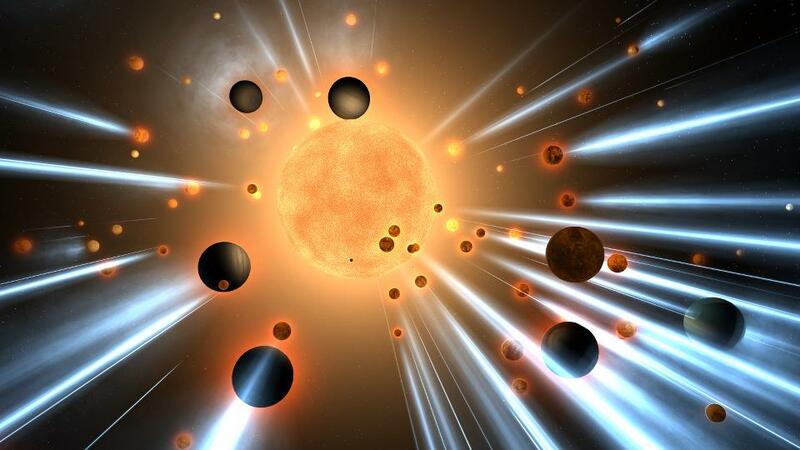 Another crazy thing you can do is collide two planets and see what happens when you do it. You can increase the speed and see what will be the effect of such a huge collision. You can also make collisions between one star and the other. The realistic graphics on the screen with blow your mind with such epic collisions. You can observe the sea ice grow and recede with the seasons. They change depending on the tilt of the Earth. You can change the tilt and the seasons and see the effect on the earth. You can also do super crazy stuff like move the Earth farther from the Sun and make the whole planet freeze. It is up to you. You can do whatever you want with the universe. Everything is in your control now. This is even crazier. You can launch asteroids and comets on any of the planetary bodies with just the click of a mouse button. The impact that will happen on the planets can be devastating. It can leave behind large craters. Then you can zoom in and see it clearly. Basically you can decide for yourself which planets you want in the universe. Supernova is when a star becomes extremely luminous and explodes. 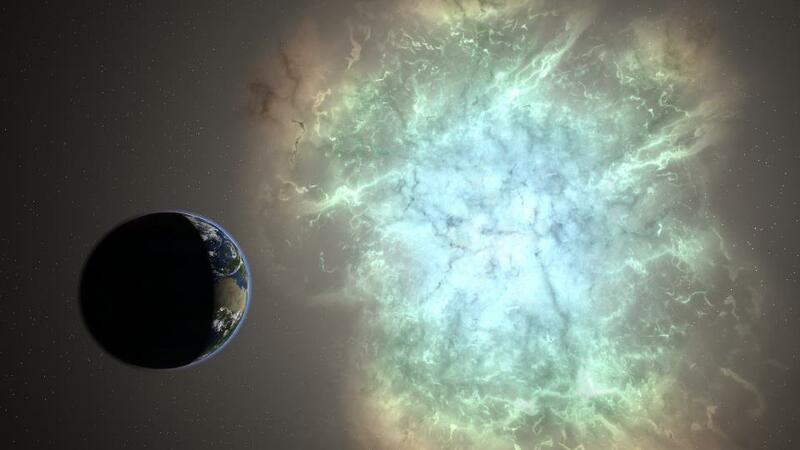 You can see a supernova live using Universe Sandbox 2. You can make a star evolve by increasing its age and mass and then watch a supernova. You won't be able to see it in the real world. So, enjoy it in this real looking game/simulator. You can also build planets out of Hydrogen, Iron, Rock, and water. You can even simulate Pulsars, black holes, dark matter and more. You can also see what a black hole looks like. No one has ever seen a black hole and we don't have any photograph of it, but this simulation is done using the scientific details that we have and how it can be with respect to the properties that it has. You can align the stars according to its mass and compare the mass of your favourite stars. It can also align it according to the radius of the stars and check out if one star is bigger than the other. Another cool feature that Universe Sandbox2 has is that it supports VR (Virtual Reality) which means that you can now feel like you are out in the space. You have to wear the headgear that is compatible with the game and with gestures and actions you can navigate through space. You can melt the planets with a laser and just destroy them with the flick of a wrist. Those who purchase the Universe Sandbox2 will have access to the VR mode by default. This is a pretty average specification today which most of the users might have. If you want this simulator to work really great then you should have 1GB video memory, 2.6 GHz quad-core processor, 4GB RAM. Universe Sandbox 2 is a perfectly designed game/simulator which can be used educationally as well. Students can learn a lot about space with this game. It is available for PC, Mac, and Linux as well. Actually Universe Sandbox 2 is now in Early Access Development which means there are many cool features yet to be added to the game. If you buy it now you will get the upgrade for free. There are even dedicated physics programmer, astrophysicist, climate scientist, graphics programmer, code architect, and technical artist who are working their hearts out in this project to get the accurate simulation possible. It has been built from the ground up using Unity 3D so it is more accurate, stable and faster. That is the reason why the climate simulation, temperature, material composition, etc. have been perfectly simulated. Currently there is no mobile version of Universe Sandbox 2 though it is in their to-do list. Universe Sandbox 2 is a paid simulator which you can buy from their official website for $24.99 USD. There is also a free version called Universe Sandbox Legacy which does not have much features but you can have a lot of fun with it as well. I hope this article has been useful to you. So, if you are interested in learning more about space just go ahead to the official website of Universe Sandbox and download the game. It will make your day. Happy gaming! This resource will provide information on how the educational computer games helps in the development. This resource will provide you information on how to gain best gaming experience through action games. What effect playing Video Games has on our Brain? This resource will provide information on how to make the computer game entertain our brain. The article has 6 different Android game apps which the user can download for free. The apps can help your kids to have fun and learn subjects as well. These apps can keep your kid calm, have fun and learn at the same time.